For Russians hoping to enjoy a Big Mac, America’s Favorite Fries, and wash down their meal with a Jack Daniels, the news is not good. In a thinly-veiled effort to retaliate against the United States for its Ukraine-related sanctions, Russian regulators are now targeting iconic American brands. This goes beyond the transparent, retaliatory sanctions Russia already adopted against imports of certain agricultural products. Instead, the most recent measures fall into the ‘asymmetrical’ variety, of which Russia is so fond. 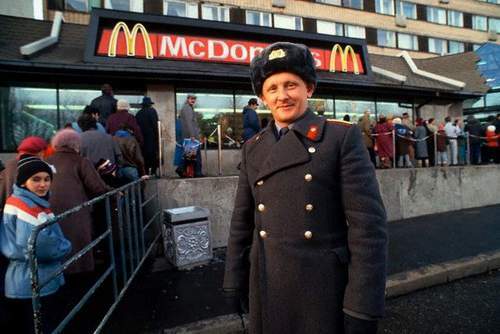 McDonald’s – Rospotrebnadzor closed 4 Moscow restaurants of McDonald’s, including its legendary Pushkin Square location (the first McDonald’s ever in Russia). Today, the Russian authorities announced that they were widening the probe into McDonald’s, with new inspections scheduled in the Sverdlovsk region. This follows an earlier investigation by Rosselkhoznadzor into the level of antibiotics found in meat used by McDonald’s. It all started in April when, after McDonald’s closed its locations in Crimea, professional clown and Russian Duma Deputy Vladimir Zhirinovsky (LDPR) demanded retaliatory actions against the fast food chain (although apparently Crimeans were about to dump McDonald’s first anyway). Bourbon – Russian authorities have also targeted U.S. manufacturers of bourbon, including Kentucky Gentleman, Jack Daniels, and Jim Beam (never mind that the Jim Beam brand is owned by Japan-based Suntory Holdings). Kentucky Gentleman imports were banned earlier this month due to alleged pthalate contents in its bourbon; Jim Beam was ordered removed from shelves after Rospotrebnadzor found that its bottles supposedly did not meet the required labeling standards; and Jack Daniels was targeted by Rospotrebnadzor after the regulator found “chemical substances not common to whiskey” in its Tennessee Honey Liqueur (honey, perhaps?). Western companies should expect such ‘asymmetric’ efforts by the Russian authorities to increase. Indeed, you can expect a number of ‘copycat’ inspections after the Moscow branches of regulators like Rospotrebnadzor take action, such as in the McDonald’s case. Obviously, the targeting strategy is aimed at iconic American brands for which Russia represents an important market. Russia has long been a growing source of revenue for McDonald’s, and it has escalated its expansion into that country, most recently with the first master franchise agreement with Rosinter. Similarly, Beam has been making inroads into Russia, where whiskey consumption has been growing exponentially among traditional vodka drinkers. The whole idea behind this approach to hurting U.S. companies is not only to retaliate for the sanctions, but also to promote ideas that U.S. products are tainted or defective in the public mind. Coca-Cola – Coke – perhaps the most iconic American consumer brand – has been pushing deeper into the Russian market in recent years, adapting to Russian preferences for juice and kvass over soda (Pepsico has a greater share of the juice market). In 2010, Coca-Cola acquired Nidan, a Russian juice-maker. But this year, they shuttered two Russian factories due to declining demand. Thus, targeting Coca-Cola is appealing from a symbolic and economic nationalism point of view (i.e., ‘bring our jobs back’). Automakers – nothing is more American than cars, and both GM and Ford have established manufacturing presences in Russia over the past decade. Specifically, the plants in Russia conduct final assembly tasks of parts shipped from all over the world. Unlike consumer products that are sold within Russia, however, the authorities cannot ban sales of cars meant for export to Europe. Thus, the measures taken against automakers would probably involve slowing down customs clearance times of parts coming into the factory, which could devastate their ability to fill orders from dealers in the EU. My only hesitation here is whether Russia would be willing to target its own non-oil exports just to hurt U.S. companies – thus, it will be a test of how committed they are to this path. Tech Companies – Putin already announced that Russia was going to eliminate its use of IBM and Microsoft in government offices. And they could take the same ‘slowdown’ approach to imports as they do with car makers. But I’m thinking more about Google (YouTube), Facebook, and Twitter. Not only are these companies the face of modern American business, they’ve also been used as platforms for anti-regime messages. Personally, I think Russia would rather siphon off all the data these companies generate within its borders than ban them completely. But that doesn’t mean they won’t harass them generally with dawn raids and the like. More likely, I could see the Russian authorities using the vague terms of its new extremism law to selectively target U.S. tech companies for content hosted on their sites. Airlines – Russia has threatened to withdraw overflight rights to airlines based in countries that have adopted sanctions, but this seems a bit extreme for Russia. Again, Russia will most likely pursue a more passive-aggressive strategy that will be unofficial and thus unattributable to any one decision maker. One example I recall: United Airlines used to have a direct flight from DC to Domodedovo, but eliminated the route once Domodedovo started price gauging United on the cost of fuel. I could see Russian airports initiating the same tactic, and also causing delays through ‘safety’ inspections and withholding takeoff clearance. American Films – non-Russophiles may not know it, but Russia actually has its own little film industry, carved from the remnants of the epic era of Soviet cinema. Caps on foreign films have been floated in the past. But again I could see the extremism law being used to target American movies on a case-by-case basis, particularly in the case of blockbusters competing with local work. Will the history books view the shooting down of MH17 as a similarly crystallizing event like the assassination of Franz Ferdinand nearly 100 years before? Maybe (probably depends on whose books you will read). In any case, it is difficult to overestimate the significance of that apparently accidental event, which arguably convinced the EU (read: Germany) to adopt stricter sanctions against Russia. [Sidebar: many have compared the downing of MH17 to that of Iran Air Flight 655 in 1988. I agree, it seems similar. The difference is that where Putin has tried to pin the blame on the Ukrainians for ‘creating the conditions’ that led to the tragedy, Pres. Reagan immediately repudiated Pentagon claims that the US Navy did not shoot the Iranian airliner down]. At the same time, oil prices have remained low despite the conflicts in Ukraine, Gaza, and Iraq, thereby limiting the financial levers available to Moscow. And this is only a few weeks after the new sanctions went into effect – it will get worse (perhaps far worse) before it gets better. Indeed, it will arguably get worse for both Russia and the West. 1. We can be fairly certain that sanctions will not succeed in compelling Russia to reverse course as Russia is a textbook case of a country that will not respond to sanctions. It has a strong leadership with popular support, already poor relations with the West, an alternative supporter in China, and a high perceived cost to amend its policies. 2. We should expect sanctions to go on until the situation in Ukraine is resolved through victory or negotiation. 3. 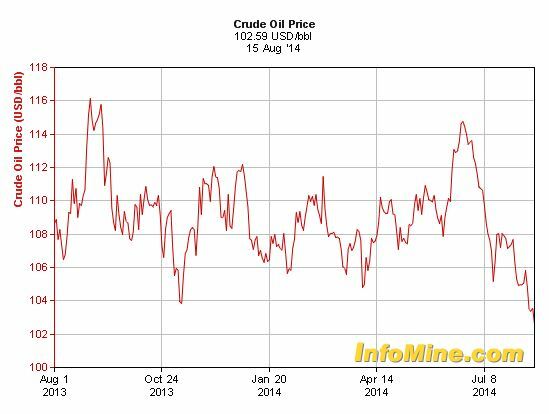 It may be that sanctions are just for domestic consumption in the West, and this is clearly what the market hoped at the start. However, there is a danger that sanctions are ratcheted up until they really do cause economic damage in a (probably futile) attempt to make the costs outweigh the benefits. 4. The West can’t afford to stop importing Russian energy, and Russia can import most goods from Asia, so the key sanctions levers that the West has are high tech exports and financial markets. As we have noted many times, Russia is highly unusual to have such large and integrated financial markets and yet to defy its providers of capital. 5. We reiterate our longstanding view that the option value of Russian shares lies at around 1,000 on the RTS, that the oil sector is the safest place to be within the market, and that the banks are the area most exposed to sanctions. 6. The main hope for the next market bounce centres on a new attempt to negotiate a comprehensive solution. Thus, the sanctions are unlikely to influence the behavior of either side. But missing from this analysis is the broader, long-term consequences of Russia’s decoupling from the international system. At some point, it will not be so easy to just ‘flip the switch’ and go back to how things were circa February 2014. If the sanctions have the effect of freezing Russia out from access to international finance and investment – or at least dramatically increases the costs of accessing such finance/investment – then this will turn out to have been a bad month for Putin indeed. The only way for Putin to avoid such a scenario is to blink first or, given his perfected media manipulation machine, declare victory and leave Ukraine alone (a more likely scenario in the event oil prices suffer further declines). In other words, Russia could go back to Feb. 2014 or on the road to N. Korea, and it’s all up to one highly unpredictable man. Sounds like a paradise for foreign investment. 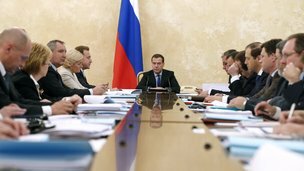 On June 26, 2014, PM Medvedev chaired the first 2014 meeting of the Commission on Foreign Investment. At the meeting, several deals were discussed/approved and amendments to the Strategic Sectors Law were discussed. Fresenius Kabi (Germany) -> Binnopharm/Alium – the German-based Fresenius Kabi purchased stakes in Binnopharm and Alium from Sistema JSFC and other shareholders. The acquired companies manufacture pharmaceuticals in Russia such as Combivir (HIV treatment), Salbutamol (asthma), and Erythopoietin (anemia). Fresenius Kabi will own 51 percent of a joint venture that will hold 100 percent of the companies’ shares (Sistema will retain 37 percent and Zenitko 12 percent). EuroChem (Russia*) -> Astrakhan Oil & Gas Company – EuroChem (ЕвроХим) is purchasing the Astrakhan O&G Company (ANGK). The deal was subject to the Strategic Sectors Law despite the beneficial owner of EuroChem (Andrey Melnichenko) being Russian because, as usual, the transaction was done through various offshore trusts/companies. FAS had previously delayed the deal over competition law concerns. In February of this year, EuroChem acquired 20.1 percent of ANGK for RUR 1.34 billion (USD 38.09 million). The previous owners of ANGK were Gazprombank and the Federal Agency for State Property Management. Abbott Laboratories (U.S.) -> Veropharm – the meeting touched on an application by Abbott to purchase an ownership stake in Veropharm (Верофарм) for USD 495 million from OOO “GardenHills” (ООО ГарденХиллс”), a holding company owned by Roman Andreev with 80 percent of the shares Veropharm. GardenHills recently purchased most of the outstanding shares, which previously traded freely on the RTS. FAS head Igor Artemev stated that Abbott submitted an ‘incomplete application’ and had inquired about the missing documents, which prevented the commission from approving the deal that day. 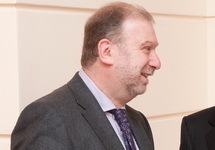 Artemev alluded to a deal from 2013 that the commission denied – Abbott’s proposed acquisition of Petrovaks – but added that he thinks the Veropharm transaction will be a success. Artemev also summarized developments with proposed amendments to the Strategic Sectors Law, which have been dragging out for quite some time. The draft law has already been approved in the first reading, and the second/third readings – which will contain a number of amendments – are scheduled to be done later this year. Here is a copy of the latest version of the amendments, which you can track here. Everyone agreed that the first round of Russia sanctions were laughably ineffective, aimed at a motley assortment of Kremlin B-teamers, whom Putin demoted to limit the damage they can cause and about whom Putin couldn’t care less. The second round of sanctions hit closer to the mark, including squarely at members of Putin’s ‘inner circle,’ including his long-time friends – Gennady Timchenko and Brothers Rotenberg. This Monday, the US built on and deepened this strategy with another round of sanctions. In short, the sanctions add the listed individuals/entities to the ‘Specially Designated Nationals’ (SDN) List, which prohibits US persons and companies from doing business with them (e.g., no contracts, no bank deposits, nothing), and with any entities owned or controlled by them. Although the major ‘shock’ factor from Monday’s sanctions was the inclusion of Igor Sechin and Sergey Chemezov – but not Rosneft and Rostec, respectively – this seems more like optics. What is more interesting is the addition of entities owned/controlled by Timchenko/Rotenberg. Of course, such entities would already be covered by the sanctions via the individual, but the ownership schemes they prefer are not always models of transparency. Supposedly, the targeting of all business holdings linked to Timchenko and Rotenberg is a strategy of making them ‘radioactive‘ – to essentially freeze them out of the US-led economic system. Unlisted Entities – what about unlisted entities wholly-owned/controlled by Timchenko or Rotenberg? The rule is they are covered by the individual’s inclusion. Thus, OOO “Gazprom Burenie” (Burgaz) would be covered by the sanctions, as it is 100 percent owned by Rotenberg (who bought it from Gazprom for far below-market value, of course). But Burgaz is the primary drilling contractor for Gazprom. Foreign companies do millions of dollars in business with Burgaz every year. Unclear Ownership – it is not uncommon for rumors about Timchenko’s ownership of a company to swirl for years, he denies it, and then one day it is an established fact. Thus, it’s difficult to know how to treat companies such as Novatek, in which Timchenko holds 23.4 percent, but the rest of the shares are held by close associates (Leonid Mikhelson) or Gazprom. This is the whole system in Russia now – a harmonious marriage between the state and Putin-selected oligarchs with the goal of extracting as much wealth from the country as possible. To accomplish this goal, they need schemes where money can be transferred from public to private hands – sometimes it’s the government selling a public company at below-market prices; sometimes its the state-owned joint venture partner overpaying for shares held privately; and other times it involves the use of a sham company during a procurement to artificially mark up the price (something both Timchenko and Rotenberg have caught doing, btw). But they also need access to international capital markets, foreign bank accounts in secrecy jurisdictions, and Western companies trying to sell products to state-owned companies. By targeting Timchenko/Rotenberg, who really do frequently surface in Russia transactions, the US may very well deny them access to these essential tools, and probably will not do much damage to the Russian economy in the process. In a way, we unplugged Russia from the Matrix, but there’s no alternate reality waiting for Russia where it is a self-sufficient great power. They’re just outside. Some observers have argued that the sanctions are intentionally ineffective – more of a face-saving measure vis a vis Ukraine. I do agree that there is not necessarily a logic of effectiveness driving the development of these sanctions. What I have heard – second-hand – from sources directly involved in the process is that the whole thing is a circus, with a lack of imagination for how to tailor them to Russia, lack of familiarity with the players in Russia, etc. (that’s the sort of policy acumen you develop after ignoring a country for 20 years). But it seems unlikely that the strategy is brilliantly intended to look tough but fail. I think it’s just random flailing like the US government does in response to every crisis. What makes the sanctions even more significant, however, is the reaction they are getting out of Russia. Russia is no North Korea – Putin no Kim. Wild animal photo ops notwithstanding, the systematic extraction of wealth from Russia cannot be built on a Putin personality cult. There has to be an idea, and the current leadership’s indelible Cold War experience provides a convenient fall-back position. The general population’s nationalism, combined with the long-running Russian tendency to turn inwards, provides fertile ground to cultivate this idea. In fact, some reporting indicates that the Cold War mindset shaped the thinking of Putin’s conservative advisers on Crimea before the purported crisis that necessitated Russian intervention. As for Sechin, we do know that he frequently reviews the minutes of Communist Party congresses from the Soviet era; as one colleague put it: “He was drinking from this fountain of sacred knowledge so that Russia could restore its superpower status and take its rightful place in the world.” Thus, the fall-out with the West over Ukraine presented not only a challenge, but an opportunity to build that alternate reality. The problem is that Russia has long pursued efforts to encourage a more multipolar global system – e.g., establishing the Eurasian Customs Union, promotion of Moscow as financial center, economic partnerships with ‘independent’ states like Venezuela – and modernize its economy. Most of these projects have not gotten off the ground – except the customs union – and none have reduced Russia’s reliance on foreign goods, foreign technology, and foreign financial infrastructure to keep its economy alive. Based on the numbers, Russians simply despise (i) buying domestic goods and (ii) keeping their money in Russia. At a macro level, the economy desperately needs investment to fuel productive enterprises, mostly from Russian enterprises and individuals that stash their cash offshore. In other words, Russians make economic decisions based on the same criteria that guides everyone else, and they don’t like what they see in Russia. Will doubling down on its strategy of playing global gadfly help? I agree with Vedomosti’s assessment: Glazyev’s plan has mostly nutty/impossible parts, but some very sensible and likely helpful parts. My personal favorite is the last – Russia’s expressed concern that foreign ownership of ‘strategic’ enterprises may jeopardize national or economic security is belied by the reality that most of these assets are owned via offshore holding companies incorporated in secrecy jurisdictions. The proposal to reduce reliance on the US dollar and USD-denominated instruments (namely, Treasuries) has generated excitement before. For example, right before the first round of sanctions last month, the Fed reported a record drop in US government securities held in custody at the Federal Reserve. The USD 2.86 trillion held by foreign central banks fell by USD 104 billion during the week ending March 12 (Russia holds approx. USD 123 billion of the total foreign holdings). Monetary issues are not an area of interest or expertise. Still, based on available research and commentaries, it seems like predicting the end of the US dollar as reserve currency is a perennial pastime of skeptics on the left and right. The interest in the subject appears to have remained constant over the past decade, and you can find roughly equal numbers of articles arguing opposite sides of the issue. Sure, it will definitely happen some day. But for now, it seems clear that the Yuan – probably the only rising challenger to the dollar – is far off from being a reserve currency. And the broader question is – who else will fill that role? Nobody but the US for the moment. Russia’s folly in its response to the Ukraine conflict is that it assumes the existence of some national autonomy on how to engage with the rest of the world. Russia seems to believe it can reject the terms of the US-led system and go out on its own – the state equivalent of me marking up the iTunes Terms and Conditions and sending revisions to Apple for consideration. The power differential is irrelevant – Apple could not deal with me on an arms-length basis even if it wanted to; it wouldn’t work..
Russia cannot expect to be successful at ‘opting out’ of the US system and creating an alternative. The existence of foreign investment, global trade, commodities markets, and financial centers is inseparable from the US system. Russia’s leaders have already acknowledged ad infinitum that Russia needs these things to modernize. Thus, it’s disappointing to see that Russia’s grand strategy for the post-US world is hoarding gold and precious metals. If Russia pursues these strategies in response to the sanctions, it will be accurate to say that the sanctions ruined Russia. Not because the sanctions directly damaged the Russian economy, but rather Russia’s reaction to them did. China National Oil and Gas Exploration and Development Corp. –> Yamal LNG – the Commission approved CNODC’s acquisition of a 20 percent voting stake in Yamal LNG, which is working to develop LNG production capacity on the Yamal peninsula. CNODC will acquire its shares from the current owner of 80 percent of Yamal LNG, Russian company NOVATEK (НОВАТЭК). Total SA owns the other 20 percent of shares. Jilin Horoc Chinese State Company –> Geotekhnologiya – the Commission approved a request by Jilin Horoc to acquire a controlling stake – 25 percent – in ZAO “Geotekhnologiya“, which owns major nickel deposits – 43K tons – in the Kamchatka region. Liebherr –> Liebherr-Aerospace Nizhny Novgorod – Swiss equipment manufacturer Liebherr won approval to increase its ownership in OOO “Liebherr-Aerospace Nizhny Novgorod” to 75 percent. Currently, Liebherr owns 49.9 percent and the other 50.1 percent was held by Vladimir Luzyanin, President of OAO “Gidromash“. Liebherr’s investment will be focused on the production and repair of equipment for dual-use aircraft. Hetero FZCO –> Makiz-Farma – the Commission approved Indian Hetero’s purchase of Makiz-Farma from unknown owners of multiple offshore companies (pretty good history here). The last transaction is quite interesting and merits more detail. The Commission approved Danish port terminal owner/operator Global Ports’ acquisition of 100 percent of National Container Company (NKK) at a purchase price of USD 291 million. The deal will make Global Ports the undisputed king of Russian container terminals, particularly in St. Petersburg, where it will now control two of the biggest ports (PLP and PKT). But behind the Western corporate PR of Global Ports there is a truly Russian story. Many Russian media outlets have argued that N-Trans’ secretive ownership structure is aimed at concealing a fourth individual: Igor Levitin, who was Minister of Transportation from 2004 until his resignation in 2012 (he now serves as an adviser to Putin). 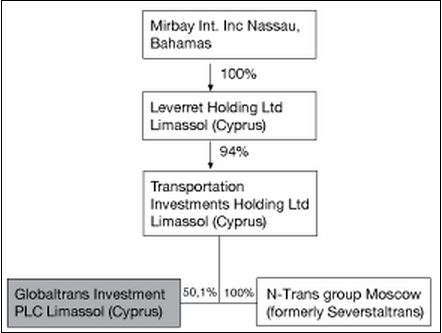 It is undisputed that Levitin worked as a manager at N-Trans’ predecessor from 1996-2004, and that there are links between companies owned by his family members and the three official TIHL shareholders. NKK also has an interesting ownership structure and history. Apparently, the owners are Andrey Kobsar and the management of First Quantum (FQ), a UK company. 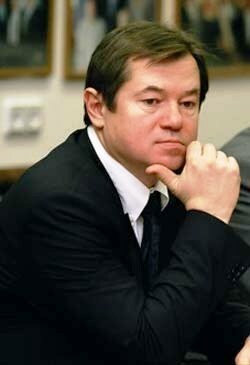 Duma Deputy Vitaliy Yuzhilin owned FQ since the late-1990s, and apparently continued to own part of FQ at least up until last year, but reportedly sold off his stake. In 2002, FQ entered into a joint venture with a company called Severstaltrans to form NKK. But in 2006, Severstaltrans withdrew from the investment after a falling out with FQ. Later in 2008, Severstaltrans changed its name to N-Trans, when Aleksey Mordashov, oligarch CEO of Severstal, agreed to exit the company. Shortly after, N-Trans combined its global port holdings under a single brand: Global Ports. Thus, Global Ports is essentially reacquiring its share – and more – of the company it started in 2002 – NKK – from its former JV partner – FQ, after each company has ‘officially’ shed its ties to any hidden officials with beneficial ownership. Parkinson’s Law is a principle governing the natural expansion of bureaucracies, famously articulated in a 1955 essay in the Economist. Under Parkinson’s Law, a government bureaucracy – and, arguably, the administrative staff of some large modern corporations – will naturally grow, irrespective of any change in actual work to be done by said bureaucracy. The reason is boils down to human nature: an official with an excessive – either real or perceived – workload can either (i) split his work with another official of equal rank, (ii) retire early, or (iii) hire subordinates. As the Economist essay explains, variant (i) is unlikely because it elevates a rival for promotion, and variant (ii) is unlikely because it means foregoing retirement benefits, which means variant (iii) is the most rational and common choice for the official. The process replicates itself on down the ranks. But the solution proves to be worse than the problem. The shuffling of a task through multiple layers requires communication and oversight, not to mention the social network element of adding more individuals to a process (e.g., personality conflicts, personal drama). Thus, the official ends up with just as much – likely more – work than he had in the first place. Hence, bureaucracy. The Economist essay – using data from the British Civil Service – gives some examples, and finds that the “all the researches so far completed point to an average increase of about 5¾ per cent per year.” I was curious whether the Russian bureaucracy has followed Parkinson’s Law, and indeed it has. 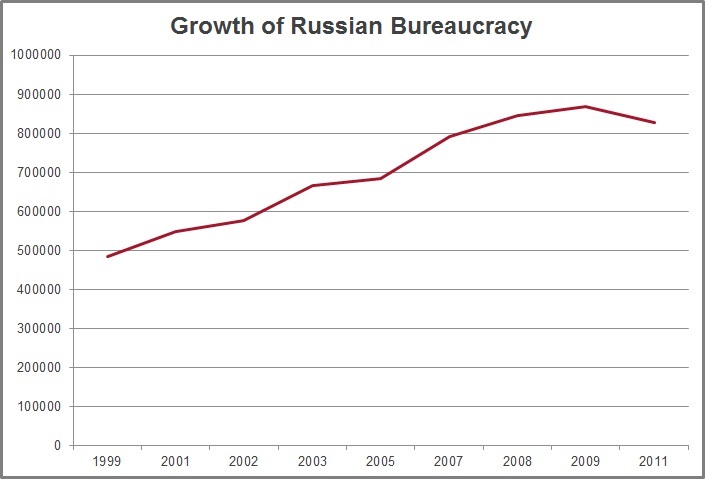 From 1999-2011, the total number of Russian bureaucrats has grown from 485,566 to 827,503, an increase of 70 percent, or an average increase of 5.8 percent per year. The numbers have fallen a bit from their peak in 2009, which is to be expected given the global financial crisis. Commentary at the time the 2009 numbers were released noted that during the Soviet era, the bureaucracy amounted to 0.1 of the total population, whereas now it is closer to 2 percent (note that these numbers include a broader category of people). The bureaucracy in the United States has also grown, but not in accordance with Parkinson’s Law. Over the same time period – 1999-2011 – the total number of federal employees grew from 4,135,000 to 4,403,000, an increase of 6.5 percent, or an average increase of 0.54 percent per year. As covered in the previous post, in June a prominent Russian economist – Sergey Guriev – fled Russia after investigators began targeting him in the case of a 2011 report on the human rights implications of Mikhail Khod orkovsky’s ongoing incarceration. This case – popularly referred to as the ‘experts case’ (дело экспертов) – has gathered momentum since Guriev’s departure. At first, the experts case was officially focused narrowly on the 2011 report. Fast forward two months and the case has officially expanded scope to the general ‘humanization’ (гуманизация) of Russian criminal law, which allegedly took place during the Medvedev administration. For example, one unnamed official told Vedomosti that investigators asked him whether Mikhail Paleev, a legal aide to Medvedev, was influenced by the Khodorkovsky report authors while he led a working group on the modernization of criminal law. Who is Paleev? There are two notable points: (1) he is such an obscure and insubstantial public figure that finding a picture of him was a challenge until today; and (2) he has been in his position since the Putin administration. In other words, he’s a faceless lifelong bureaucrat. With some imagination, you can see how Paleev is an ideal mark – no siloviki connections, no liberal star power. If he fled Russia, I would wager that it would not make the front page of the NYT. The Vedomosti report also noted that the investigators have also started asking questions about high-ranking officials and Duma deputies that worked on humanizing Russian criminal law. The experts case took on its new aggressive approach and received official backing last month when Prosecutor General Yury Chaika gave a speech before the Federation Council. The day before his speech, Chaika attended a ‘working meeting’ with Pres. Putin at the Kremlin (coincidentally, I noticed that it was the first ‘working meeting’ the pair had since Putin resumed the presidency). The purpose of the meeting was to discuss “work in the sphere of protecting entrepreneurs, and separately reported on the audit results of NGOs as well as issues related to corruption in the education sector” (my emphasis). In fact, if you do a word search of the meeting transcript, ‘entrepreneur’ in Russian appears four times (incl. the title), and ‘NGO’ in Russian appears 15 times; ‘foreign’: 6 times. 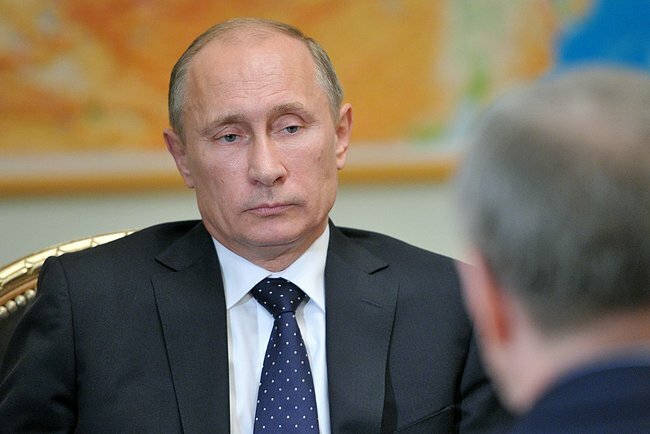 Putin: one moment, in your opinion, should this judicial practice be tougher? Chaika: yes, tougher. I believe that the Supreme Court should evaluate this practice in light of our conclusion. We need to analyze this practice and give you suggestions. Chaika then went on to report about corruption in educational institutions and, finally, the audit of NGOs. To summarize, Chaika reported that many NGOs are acting as ‘foreign agents’ and some were still not in compliance with the law. The activities were agreed upon with the official representative of the United States, accredited by the U.S. Embassy in Russia, who also participated in some of the events, and the former Attorney General participated in a round table at the State Duma. We are not against the humanization of legislation. Just the opposite. And you [the Federation Council] make laws. But that is why we believe that similar processes should be open and transparent. And if an NGO receiving funds from abroad participates in these processes, the state has the right to know who is funding it and in whose interests it is preparing a bill. And we do not understand why realizing the idea of humanization requires assistance from representatives of the United States, which is known for economic crimes often carrying sentences of 150 years and more. The as-yet unsubstantiated claim that the 2011 Khodorkovsky report was ‘purchased’ by Khodorkovsky and Lebedev has turned into an official fact, warranting a broader investigation even though the initial investigation has not yielded any results. Russian NGOs that receive any funding from abroad are facing strict scrutiny, regardless of the nature of their relationship/interaction with foreign donors. The benign – and often boring – rule of law activities conducted by U.S. Embassies all over the world will now be viewed retroactively as evidence of some underlying conspiracy. This posture is particularly strange given the regularity with which members of Chaika’s own team – including his own Deputy, Aleksandr Buksman – travel to the United States to meet with their DOJ counterparts. For an example of these activities, see this list I pulled from reports by the DOJ OPDAT section. Indeed, these activities certainly seem less harmful than leaking secrets to a private American intelligence company. The purported Khodorkovsky-foreign agent-NGO-U.S. government nexus is now an official basis for unraveling the Medvedev-era criminal law reforms and launching investigations against any person or organization who can be tied to that effort. Note that this approach relies on a blend of both foreign and domestic enemies who are both known (e.g., Obama, Khodorkovsky) and unknown (e.g., financiers in U.S. or European capitals funding groups to make Russia less Russian). All of these observations are even more significant in light of the targeted politicized attacks on Navalny, Udaltsov, Ponomarev and others. All of the observations listed above tend to suggest a general outline of the shape of events to come in Russia. Hyperbolic comparisons to the 1930s are not helpful, but it seems possible that a modern, less bloody, variant of the Stalinist purges could take place. Specifically, the facts suggest that Putin has unleashed all law enforcement resources on investigating first a report and now an entire category of activity that is protected under the Russian Constitution. Moreover, the vague threats to investigate unnamed Duma deputies who ‘participated’ in the criminal law reforms are highly disturbing. Read that again: they are threatening to investigate members of their rubber-stamp legislative body for doing what they were told to do, as expected, by the previous administration. Thus, the siloviki desire to displace the Medvedev team, roll back curbs to law enforcement powers (e.g., pretrial detention), and inflate the risks of participating in any sort of ‘opposition’ activity. In their heads, this will have the effect of turning back the clock to 2005. The problem is that the people, ideas, and institutions with which they disagree actually exist in their country. To some extent, their mere existence poses a threat to the very identity of the average siloviki, hence the need to concoct conspiracies that transform them into instrumentalities of an external threat (i.e., U.S. and lesser degree EU). Putin is perhaps the greatest representation of the average silovik, whose personal self-image is based on a country and level of influence that no longer exist. If you add the fact that a reasonable number of your own people disagree with you, it must be maddening. But conflating the ‘opposition’ with the external threat both lifts the obligation to reconsider the course, and reaffirms the old identity (why would the external threat be interested unless Russia still had some of its Soviet-era clout). Russia’s leaders are stuck in the action movie that is their life, and will react negatively to anyone who refuses to play their supporting part.